And now, we talk about something completely different. This is not an elitist site, but people should know their options. What's interesting is that folks will willingly book events like what we're discussing here who you would never suspect to be the target customers. Ordinary folks with ordinary occupations leading ordinary lives will leap at the chance to be special with their kids for a day. Hey, they deserve it too, and something like this can be even more special for folks who don't usually fly First Class. What are we talking about? 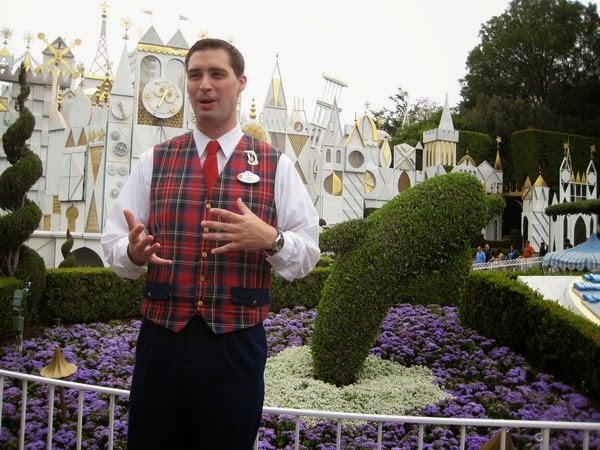 One of the little-known services at Disneyland is the VIP Tour. It's not very well known because you really do have to be a VIP in the classic sense for a day to afford it. Everything here applies equally to Orlando, Florida's Disney World with its own unique attractions, but we'll focus this post just on Disneyland for simplicity. So, this is not for everyone. Unless you, too, are a true VIP with cash to burn, this may just be a voyeuristic post along the lines of "Lifestyles of the Rich and Famous." If you go "Is he kidding?" then this is not for you, and that's ok.
Let's put it this way: if you know what Club 33 is and eat there when you visit, then this definitely is for you. But then, if that's your situation, you probably know all about this already anyway. Anyone, though, may have an actual use for this depending on their priorities in life. Want your own little princess to meet and greet with Elsa and Anna without waiting four hours on line? Your VIP tour guide should be able to work it, request it in advance and be a little flexible on when during the day it happens. Anyway, here's the deal: for a special fee, you receive a guided tour of anything you want to see at the Park, with hardly any waits on any rides and courteous treatment everywhere. You are waited on hand and foot by a clean-cut guide who likely is just out of college. Want a coke? Just wave your hand, it appears after the tour guide makes a call. Want to get the "best" view of the Magic Castle at the "best" time of day from the "best" angle? Presto! They know. 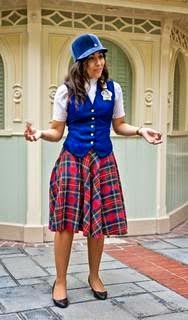 Disneyland tour guides ("plaids") have been there since Walt Disney personally instituted the tour guide program back in 1958. This was a way to get people used to the idea of a theme park when there weren't any other theme parks. Bright idea! Somewhere along the way, Disney instituted the VIP tour. When you sign up, the tour guide who will conduct you through the park calls you and arranges as much as possible according to your specific needs beforehand. You receive special access to the FastPass line and (as in the old days when you accompanied a disabled guest, something they no longer do) you usually skip the lines completely. The tour guide accompanies you on the ride unless they have to check on your other upcoming events for the day. Yes, that's right - Disneyland with no lines. Any time you want to book it. You also receive preferential treatment for the fireworks, World of Color, and the parades. The tour guide sets up a table for you at whatever Disneyland restaurant you want whenever they're open, and it will be the best table they can muster in the joint. In practical terms, that may mean an unobstructed view of the Magic Castle during lunch and dinner. 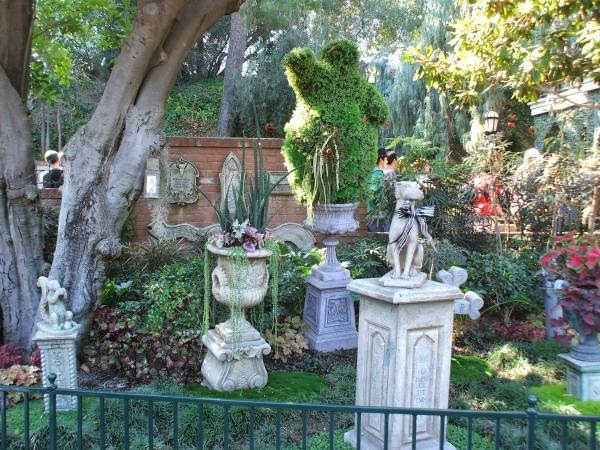 The Disneyland Pet Cemetary, normally tough to see, is on the itinerary if you want, with explanations as detailed or cursory as you want. If you're curious about something in particular - what's under Splash Mountain? - your guide will probably figure out a way to give you a peek, maybe on the sly, if it's at all feasible. They're your chum-for-the-day-who's-got-connections. You can ride the Lilly Belle. 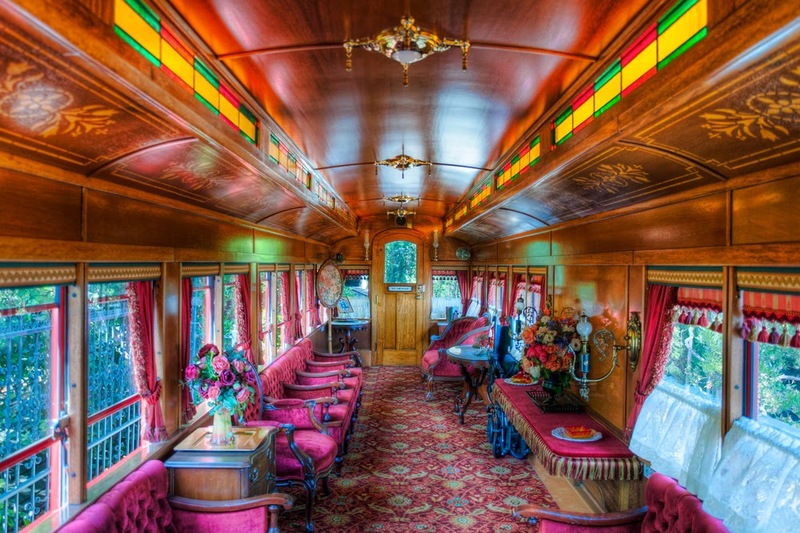 Don't know what the Lilly Belle is? Well, you will if you take the VIP tour and ask to ride it. Who am I kidding, folks on here are usually more knowledgeable about these Disney things than I am! Some of you folks should get doctorates in Disneyland! All day long, the tour guide will charm you with stories about the park and anecdotes and so forth. They always name-drop, you know, "Well, when Brad and Angelina came with the kids last month," that sort of thing. The plaids see and know everything. Why would you book a VIP Tour? Well, you may be trying to impress that special someone, be it the girl you met at the beach or that client who is on the hook about giving your firm a large order and has their kids with them for the week. Or, perhaps your own kids are a nightmare at parks and you can't wait on line all day with them. Perhaps you simply can't wait on lines under any circumstances in the hot sun for whatever reason - this is the way to enjoy the park regardless. Perhaps it will be a one-time thing, or maybe that's just how you roll. Whatever, it's your call. As an example of how this actually impacts real people, some folks will book the Princess Makeover at Harrods in London, England for their own little princesses for obscene amounts, and they take the Tube to get there. Look, it's your money and you're entitled to spend it however you want. And the unlikeliest people do. The cost is high. I mean, obviously! This is a once-in-a-lifetime thing for ordinary people - if you're at the "if you have to ask the price, then it's too much" level, then it's something you might consider for all your Disneyland vacations. Oh, the cost? It is usually roughly $315/355 an hour with a six-hour minimum, depending upon the season. It can go up to $500 an hour if you want to meet Santa Claus on Christmas morning, that sort of thing, it's all about supply and demand. The cost is higher during Peak Season (say, June or July or Christmas week), but then, it's worth more to skip the lines and get all the extras when the park is packed during those times, too. You also pamper your tour guide a bit during the day, with a $20/person tip and little food treats along the way if they accept (they usually don't), including dinner for them if you want to offer it (completely your option, if you had a good time you undoubtedly will). It's just customary to do that, and really, if you're spending that much, don't be a piker with the tour guide. Have a little class. It will make the whole day better, trust me. So, round figures, $2500 including extras for a day that will last a lifetime in your (and your child's) memory. Is that too much? Only you can decide. People can and do spend a whole heck of a lot more for much, much less. The personal photos alone will be priceless treasures. 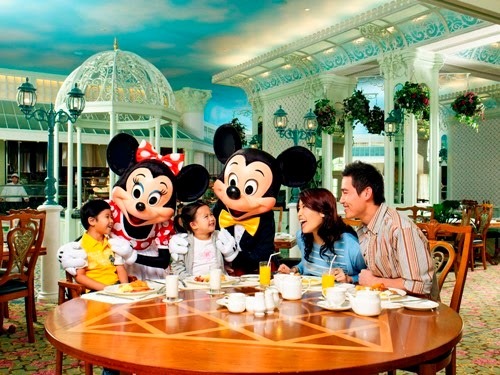 For information, call Disneyland at (714) 300-7710 and Disney World at (407) 560-4033 up to three months in advance. Call at least a month in advance if it's a peak season just to make sure you get in your reservation, you can call closer to your actual trip date during the off-season. They probably have additional people they can call themselves to give the tours on an overflow basis, so don't despair if you simply forgot and you're leaving next weekend. Don't put it off too long, though, it's easier on everyone and you have a better chance of getting the little "extras" that might take a little time for the tour guide to arrange if you plan ahead. View important information including reservations, Guest restrictions and cancellation policies. Our VIP Tours are very special and therefore limited in availability. We recommend booking at least 72 hours in advance to ensure your spot. You may reserve your VIP Tour up to 90 days prior. All VIP Tours have a minimum duration of 6 continuous hours. Your party may include up to 10 people. Parties larger than 10 will require more than one VIP Tour Guide and an additional fee. To avoid a cancellation fee equal to 2 hours at the booked rate per Guide, please provide at least 48 hours’ notice. Pricing and information are subject to change without notice. The cost of Disney’s VIP Premium Tour Service varies between $315 and $500 per hour depending on the season.